Finally, something solid on the recently-rumored Netbook... or should we say, the 2go PC. The little laptop, manufactured by CTL, will clearly be aimed at the education market, though the specs imply that this will be destined for more than just the classroom. 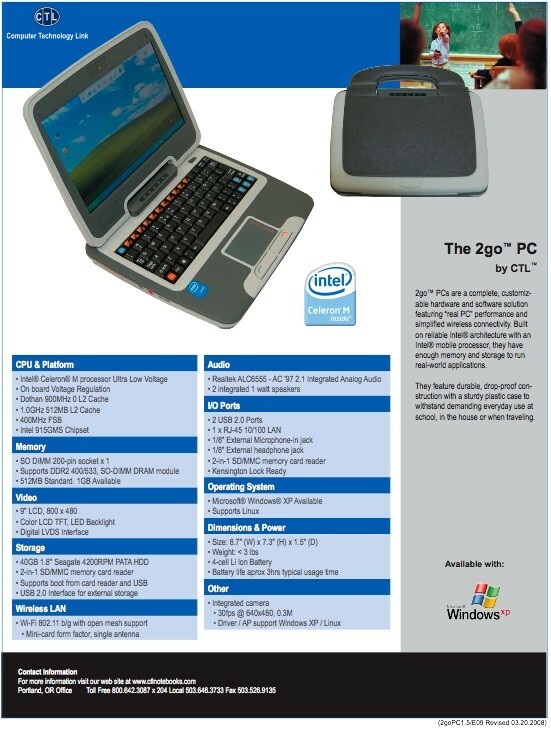 The 2go features an Intel Celeron M CPU on top of the 915GMS chipset, 512MB of RAM (upgradeable to 1GB), a 9-inch, 800 x 480 LCD display, 40GB hard drive, 802.11b/g, SD / MMC reader, and a full complement of standard ports and jacks. 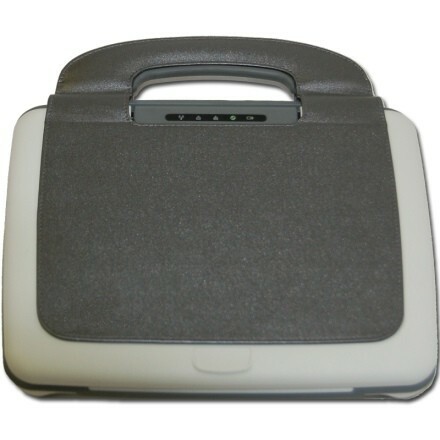 The systems natively run XP (though Linux appears to be an option), feature a VGA webcam, and are expected to go about three hours between full charges. Our contact says these will be on shelves in less than 60 days, and will retail for around $400. We're working on getting our grubby mitts all over one of these puppies, but in the meantime, check out some more pics after the break.